Willow Crossley believes that everything in the home, however mundane, can be beautiful. 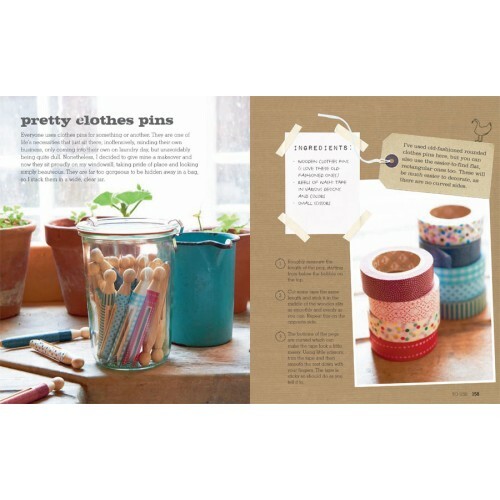 This book shows her ideas for turning the most basic objects into original life enhancers. 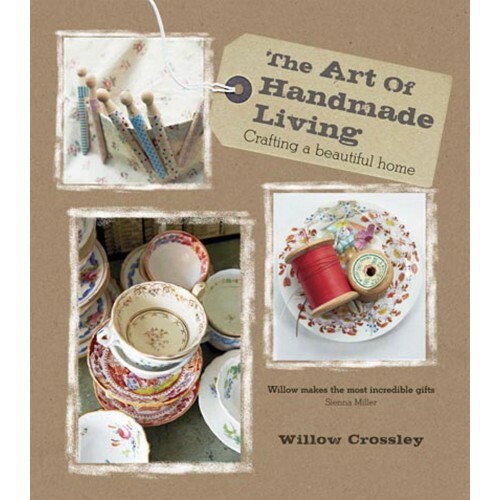 Willow casts her crafting style all around the house and beyond, making things you will want to keep for yourself or reluctantly give away as presents. The first chapter, ‘To Decorate’, includes floral napkin rings, seasonal wreaths, Christmas baubles and vintage fabric bunting. 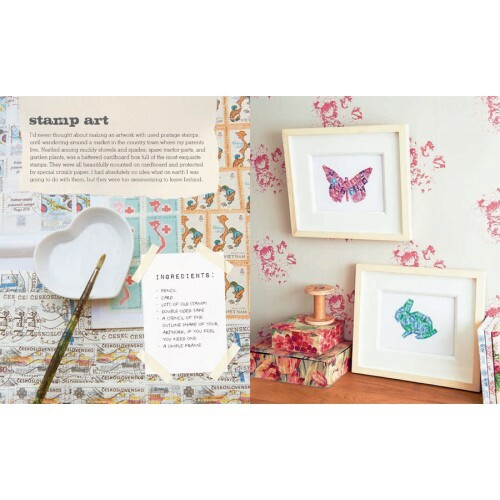 ‘To Hang’ shows how to fill printers’ trays with your own treasures, make pictures from buttons and create your own pinboard with fabulous ribbons. 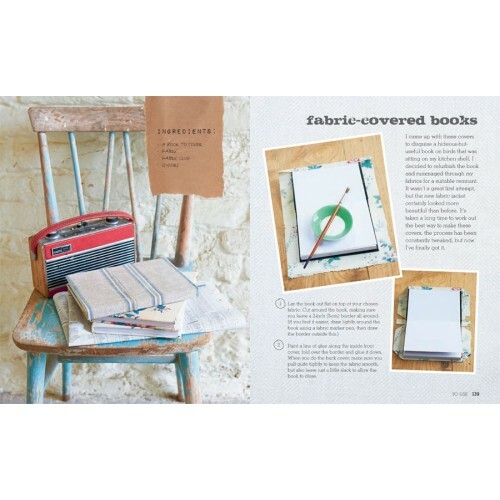 ‘To Nest’ includes ideas for grainsack cushions and pillows, block print napkins and heart-shaped lavender bags. In ‘To Wear’, there are fabric-twisted bracelets, silk-trimmed straw hats and simple linen aprons. ‘To Use’ is a visual feast of candles made in vintage teacups, fabric-covered books, bath salts infused with lavender and coat hangers decoupaged with fabric scraps. Having lived in France, Willow is besotted by their vintage textiles as well as their knack of making life's necessities, such as a straw hat or bicycle basket, so effortlessly decorative. None of her ideas are difficult to make or demand serious sewing or crafting skills. The only requirements needed are patience and the desire to find those raw materials that work their magic.